As Vishwa Hindu Parishad's (VHP) meeting to decide the future course of action on Ram Temple construction goes underway, one of the main litigants in the case called the meet insignificant. Mahant Dharam Dass of Nirwani Akhara, a litigant in the Babri Masjid-Ram Janambhoomi title suit, said that the matter is with the Supreme Court and hence, the VHP's one-day meet is of no importance. "I always say to the all the political parties and organisation not to hold any meeting on the construction of Ram Temple as the matter is still pending before the Supreme Court. 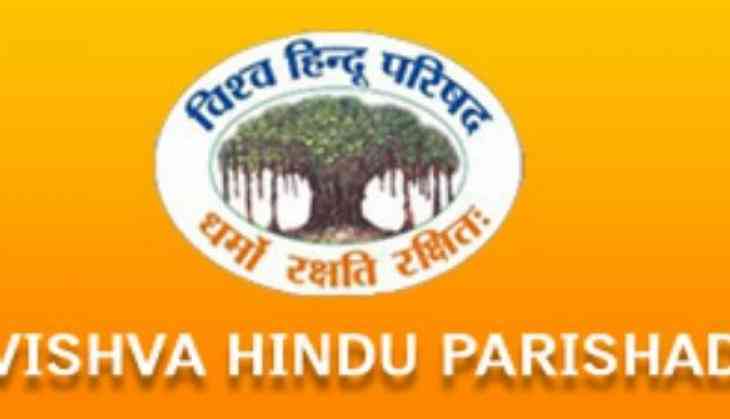 The meeting today which the VHP is holding is of no importance," Dass told ANI. There are different groups, which are litigants in the case and it's often difficult to bring them on the same page. Most of the seers and akharas see themselves as the real crusaders of Ram Temple movement. The Supreme Court, on September 26, declined to refer the Ayodhya land dispute case to a larger constitutional bench. The top court said that it will begin hearing on Ayodhya matter from October 29 to decide the suit on merit. The apex court held that all religions and religious places need to be equally respected. The decision was pronounced on the limited aspect of whether the law laid down by the Supreme Court in its 1994 judgement in Ismail Faruqui case should be revisited by a Constitution Bench.